1960s Gresham home on NW Overlook Avenue example of unique regional architecture. One of Gresham's historic homes and examples of unique architecture is on its way to be recognized as a city landmark. The "Emerick House," also known as the Paul E. and Miriam R. Emerick House, was built in 1960. 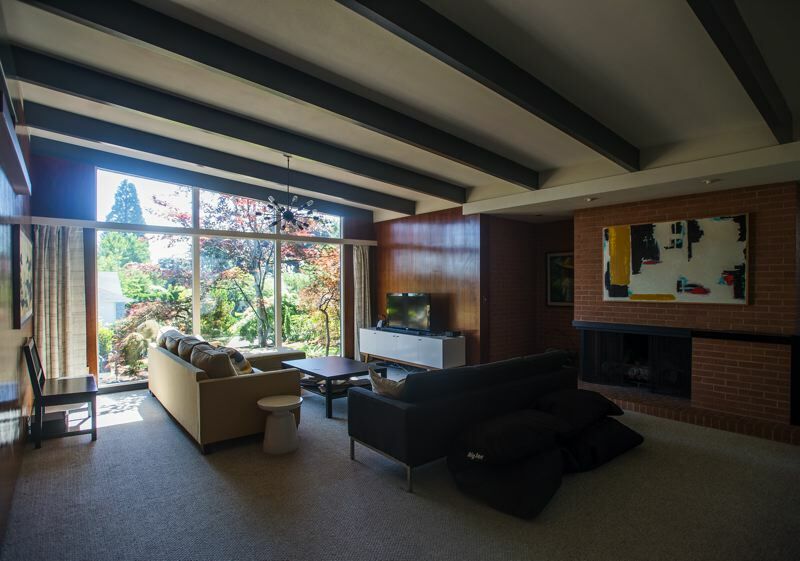 Located along Northwest Overlook Avenue, the house is a mid-century marvel designed by well-known Vancouver, Wash., architect Day W. Hilborn. 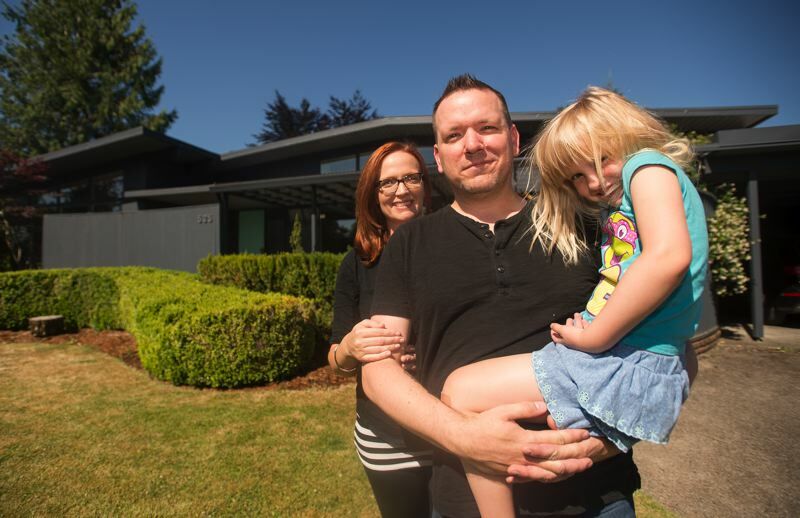 "It's a classic 1960s home — Frank Sinatra would have fit right in," said Ann Pytynia, Gresham urban planner. The current residents, Marisa and Peter Swenson, were contacted by the city about a year ago because the home had been earmarked as a potential of being named one of Gresham's Class I Historic Landmarks. The city maintains a list of sites and structures that have retained their historic character, serve as a record of the past and are associated with a historic figure, event, designer or architectural style. Because achieving historic landmark status doesn't place too many restrictions on the homeowners, beyond having to check before making alterations to the exterior of the house, the family was interested in pursuing it. They can remove themselves from the list at any time. "I think it's important to preserve something unique from the era," Marisa said. "It's a snapshot from the past." The 3,300-square-foot Emerick House is an excellent example of Northwest regional style. It has a horizontal emphasis, low-pitched gable roofs, wide overhanging eves, exposed rafters, simple entrance, ribbon and full-story windows and minimal ornamentation. A large portion of the home has retained the original design, with few additions being made. Paul Emerick was the owner of the Paul B. Emerick Construction Company, which started as a home construction business. Some of the prestigious contracts the company undertook included the Gresham High School Industrial Arts Building, the Lents Evangelical Church, and the renovation of Civic Stadium — now Providence Park in downtown Portland. The home was designed by Hilborn, who had a prolific career. He was credited with desigining 30 theaters, 23 civic buildings, 18 social buildings, more than 300 single and multi-family residences, and hundreds of commercial and institutional buildings. Several of his buildings can be found on the National Register of Historic Places. "I was glad to read all the history that had been collected on the house," Peter said. "It was neat looking at photos of what things used to look like when it was first built." The City Council will vote at its Aug. 15 meeting on whether to include the Emerick House as a historic landmark.